You are here: Home / Our Blog / General News / Loggans Mill and H.T.P. Seen today encased in scaffolding, Loggans, (pronounced Luggans) at the entrance of Hayle, is a sad sight but it has a milling history going back to the 15thcentury. Its heyday was in the late 19th and the early 20th centuries when it was associated with Hosken, Trevithick, Polkinhorn & Co Ltd, aka H.T.P. Who were these heroes of Hayle? 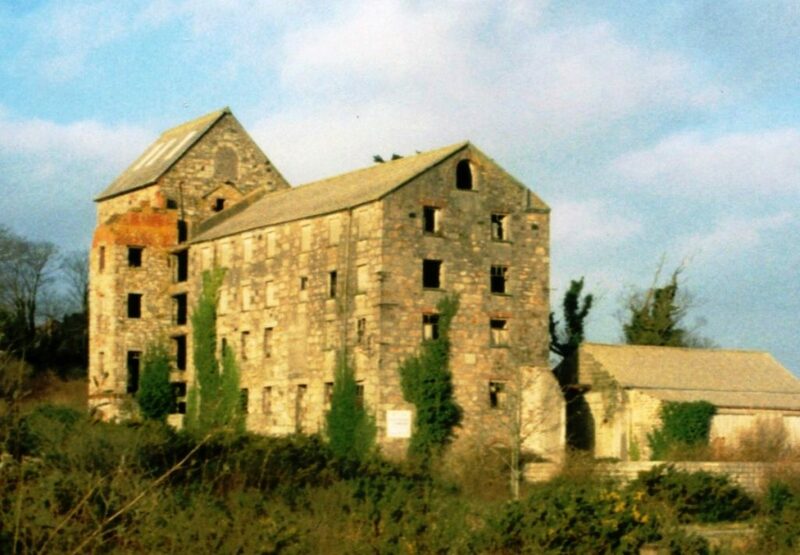 The Hosken family was associated with milling in Cornwall for centuries with their names featuring in the history of more than a dozen mills. In the late 18th Century Benjamin and his half-brother William were working Trevethoe Mill when, in 1810, the unmarried Ben bought a lease on Loggans from the Rev Hockin. Ben passed away in 1814 and William took over with some of his brothers. The mill was extended and his son, also a William, took over. In 1852, a mighty fire destroyed the mill and the younger William rebuilt and extended it to the five-storey building we see today. 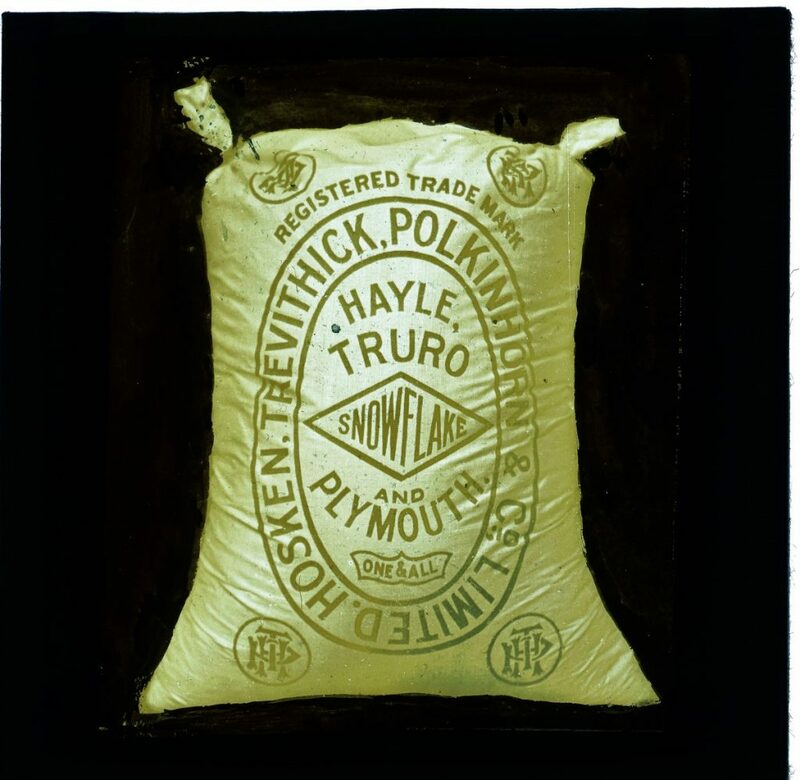 William Hosken was a progressive businessman who sought the latest milling technology, started making the popular white flour and supplied it throughout West Cornwall. William was also interested in shorthorn cattle and developed high quality herds in the town. William married Catherine Pick whose father, Sam, had leased the Hayle Hotel from the Rev Hockin. When Sam got into financial difficulties, William and his family moved in and renamed it Penmare. William had two children: Samuel, a farmer, who was more interested in the herd of cattle than the mill, and Catherine, who rode around West Cornwall helping her father by dealing with his customers. Catherine married John Rosewarne, a yeoman farmer at Nanpuska, in 1853. The famous Trevithick was, of course, Richard who married Jane Harvey of Hayle and invented the high-pressure steam engine that drove the Industrial and Transport Revolutions. Richard had four sons. Two were engineers with one, John Harvey Trevithick, becoming a shopkeeper and miller at Foundry. John Harvey Trevithick inherited the shipping and retail interests of Harvey’s. He had several sons with one, Richard, leading the family business. When William Ernest Rosewarne approached him with the suggestion of a consortium, he jumped at the idea. But where did the Polkinhorns fit in? Samuel James Polkinhorn, J.P., was an Alderman of the City of Truro and one time, its mayor. After learning the milling and wool treatment trades, he travelled about Cornwall and Devon on horseback, dealing with farmers and buying their wool. 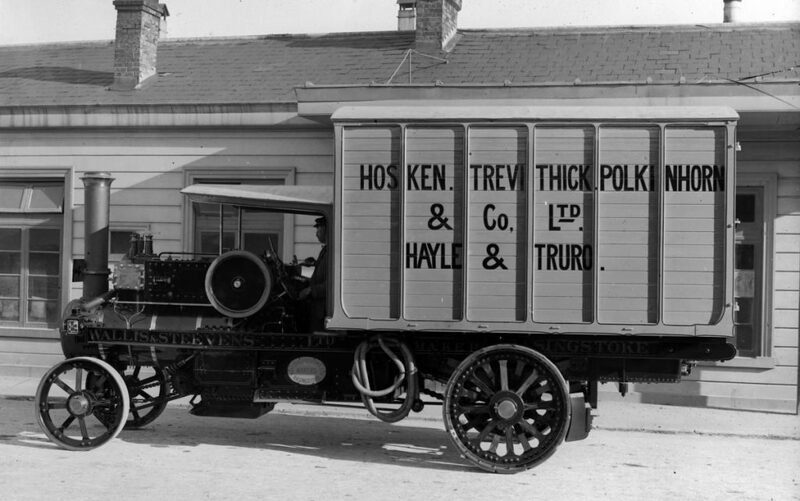 On his travels, he encountered the Hosken operation at Hayle and realised that no one in the family was interested in taking over a business that he could run. In the days when businesses were handed down though family links, he was viewed as an outsider from Truro. He had to do something, so he courted and married Jane Rosewarne, the daughter of Catherine Rosewarne, née Hosken, and sister to William Ernest Rosewarne. Sam could see the Hosken business coming his way and was stunned to find his brother-in-law had been dealing with the Trevithicks. Sam would operate the company’s wool business at Tavistock. Just five months after the death of William Hosken, the largest conglomerate ever formed in Cornwall emerged. It was complicated and led by a number of men who didn’t really know each other, nor how to run the business. Sam Hosken, the most respected director, was made the unwilling chairman but seldom attended a meeting. The other directors were Trevithick brothers on one side and the Hosken camp, including Rosewarnes and Polkinhorns by marriage, on the other; they would never agree. Years later, John Rosewarne described the family-controlled feudal company as an unholy alliance. After eight years, Sam Hosken died of cholera and Richard Trevithick (Grandson of Richard Trevithick, the inventor) took over the chairmanship. He was the chairman from 1898 to 1914 when he was deposed by the shareholders in 1914 and Samuel Polkinhorn became chairman. Of course, the full story of H.T.P. is much more complicated and revealing than the synopsis you have just read. Buoyed up by shareholders’ cash and incredible borrowings, it continued until 1936 when Spillers bought the milling side and the trading name. 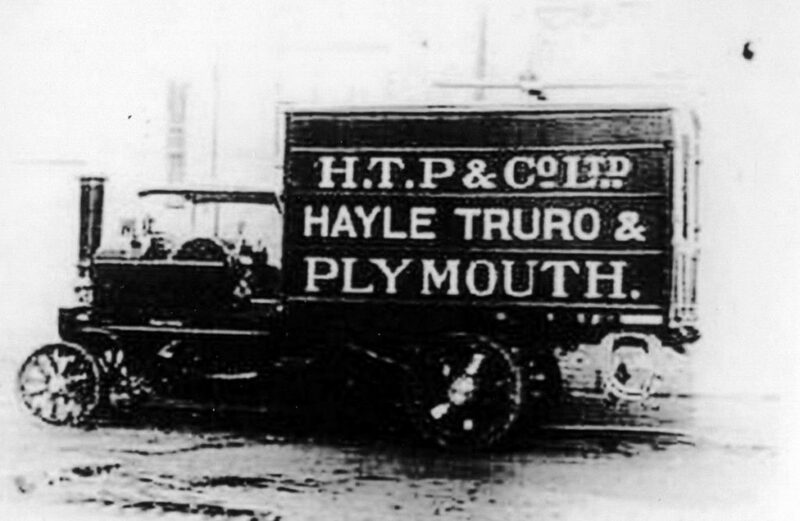 It continued in the hands of the same Hayle-based families for a further 40 years as Farm Industries Ltd.
We are starting to collect information on HTP for the Heritage Centre so any anecdotes or objects associated with the company will be most welcome for inclusion.